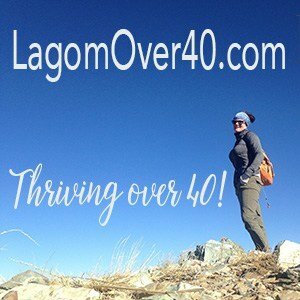 I remember putting on my big girl pants as an almost-adult. I ventured beyond the egg drop soup in a Chinese restaurant and ordered the Hot and Sour Soup. “It’s like egg drop soup, but sour and a little spicy, I think you will like it” my mother said. Staring intently at her eyes, I looked for any clues of false re-assurance, the kind mothers give their offspring to nudge them to try something, anything new. I only detected sincere, authentic encouragement. Trusting her, I sipped the hot and steamy concoction. With the chewy egg ribbons playing on my tongue and the spicy sour taste hitting my tastebuds, I knew that we made the right choice. This soup is not only delicious but fun to eat. Mom was proud of my bravery. I was glad she encouraged me to try something she thought I would like. It is because of my fond memories of my amazing mother that I try to recreate the recipes of the foods we shared together. I lost her a long time ago and this is a way of keeping connected with her. In addition to my memories, I also have her bible and the frying pan that was handed down to her when her mother passed on at a young age, sans handle. It is precious, connecting three generations of women, two of whom have never met. I have heard that food connects people. I can see that now. Today we will learn how to make Chinese Hot and Sour Soup, in honor of my mother. 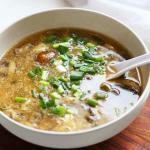 Hot and Sour Soup is an Asian culinary creation with each region having their own versions. The varieties can change from house to house also. As with many home recipes, everybody has the version they prefer. Hot and sour soup can be vegetarian or have meat in it. Like all regional cuisines, it depends on what is available. You will see a lot of these soups with seafood in them as this is readily available in most Asian countries. China is vast so seafood is common only along the coast. Go a few hundred miles inland and you will see more duck, chicken and pork. Cattle need a lot of grazing land, of which China, a very mountain dense country, does not have so beef is actually a rare delicacy in rural villages. I imagine in the big cities, you can probably find imported beef. Leave a comment if you have been to China and let us know about the beef situation. 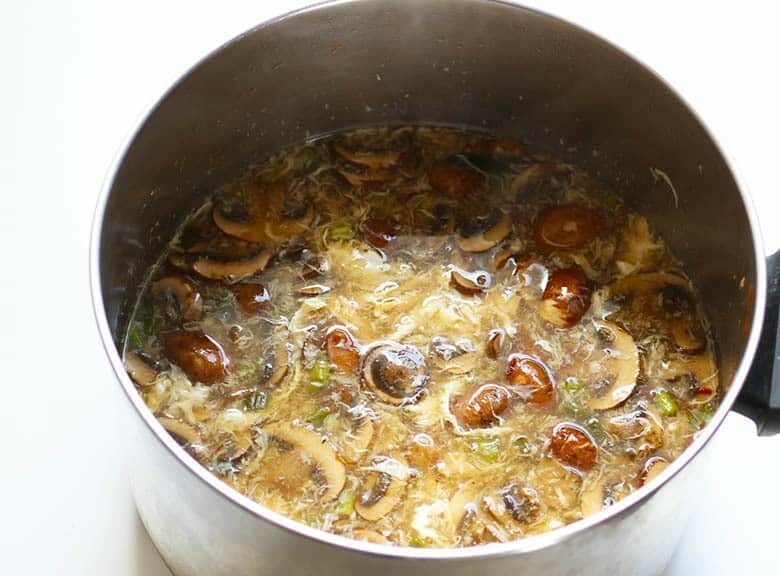 North America – The broth can be either a meat or vegetarian broth. 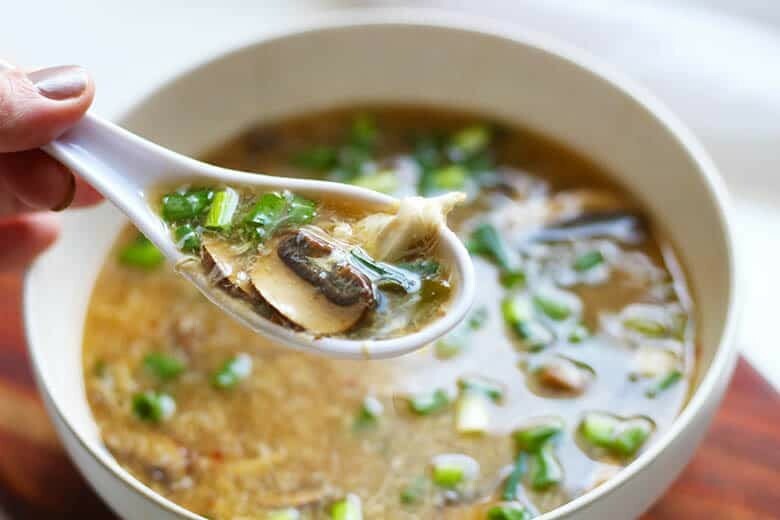 Typical additions to the soup include bamboo shoots, toasted sesame oil, wood ear or cloud ear fungus, vinegar, egg, cornstarch and white pepper. China – This soup is claimed by both Beijing and Sichuan as a regional dish. 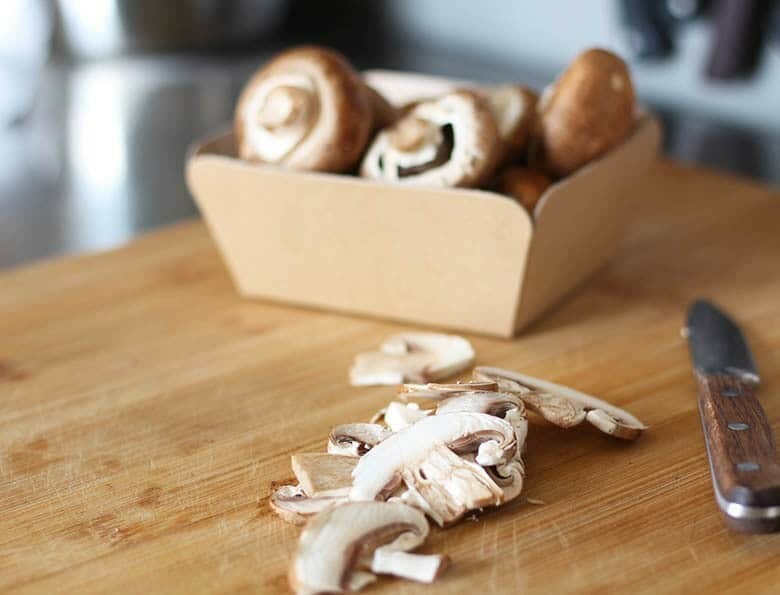 Common ingredients include the same mushrooms above, bamboo, tofu and also may have day lily buds and pork blood. Japan – The Japanese add ramen noodles and call this soup Suratan-Men. India – Includes ginger, chilis, carrots, snow peas, vinegar, sugar, tofu and soy sauce. Vietnam – Fish, shrimp, tomatoes, pineapple, bean sprouts and possible other vegetables. This soup also includes tamarind and lemon-like herbs. Cambodia – This countries most popular sour soup is Samlor Machu Pkong, which translates to ‘Sour Shrimp Stew’. This soup typically includes lemon, chilis, prawns and/or shrimp. You will see this served on special occasions as well as a street food. Thailand – Tom Yum is a popular Thai soup here in the States which includes lemon grass, lime, kaffir lime leaves, galangal, fish sauce and chilis. Phillipines – Sinigang is a typical national soup that gets its savory and sourness from tamarind. If you want to learn how to make tamarind paste, click here. 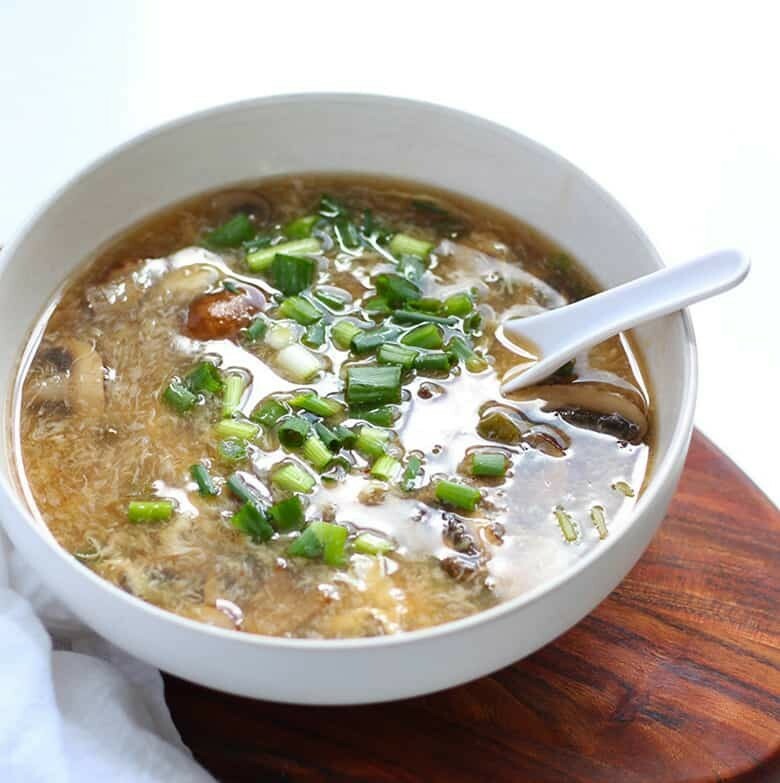 This version of Hot and Sour soup is very easy and is great for both beginner and experienced cooks alike. It has fresh, real ingredients but is not complicated and cooks up pretty fast. 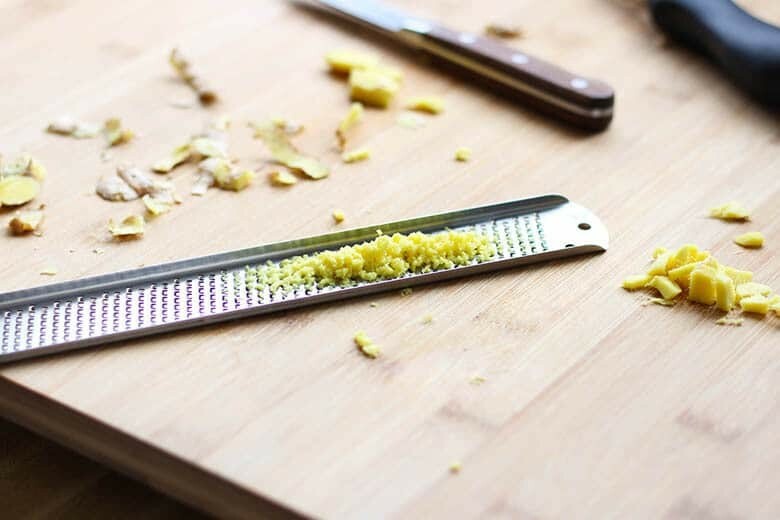 I used my microplaner as seen below to mince the ginger. If you don’t have one or want to really hit the easy button, look for the minced garlic in a jar which you can find in most markets. You may be able to find it in the produce section. You can go really authentic by searching for less common but authentic Asian mushrooms known as wood ear or cloud ear fungus. I am a little challenged where I live so I used baby bella mushrooms. Shiitake would also work well. If you are even more challenged than I am, use white button mushrooms, it will still turn out great and I don’t think anyone would really notice. 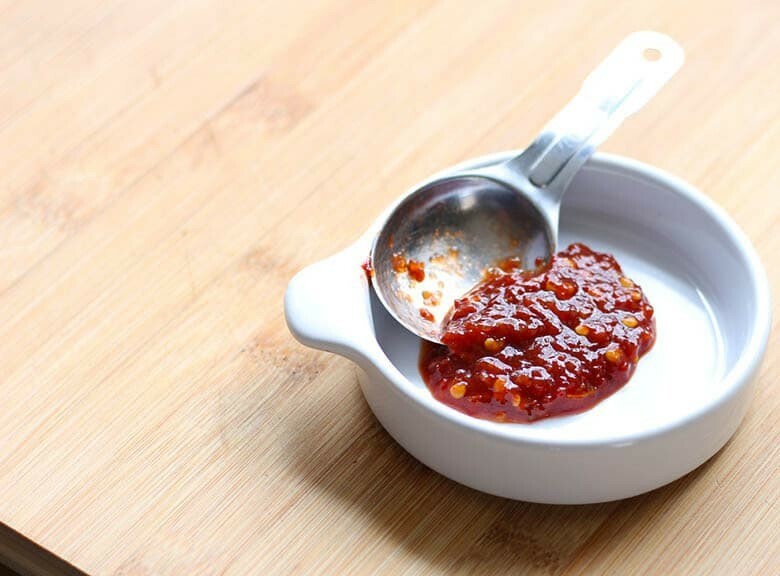 Sambal Olek is a hot chili paste common to Asian markets but is now found on American supermarket shelves. How do you re-heat Hot and Sour Soup? Either in the microwave or on the stove top. I like the stove top method. Just bring it up to a gentle simmer then serve with the garnishes. You don’t want to boil Asian soups in general, it can change the character of the broth, especially if it’s a clear broth soup. Place first two ingredients in a large soup pot. Pour one cup of the vegetable stock into a bowl or cup and add the cornstarch. Stir until the cornstarch is completely dissolved. Pour the cornstarch slurry and the remaining stock into the soup pot. Add Sambal Olek and vinegar, bring up to simmer over medium heat and continue to simmer for 8 minutes. 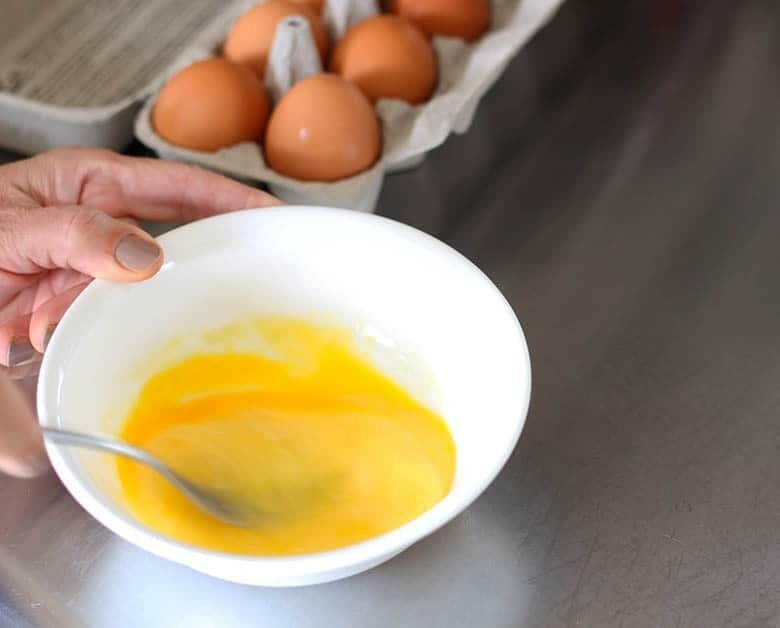 While stirring the pot in a circle, slowly add the beaten egg in order to make egg ribbons. For thicker ribbons, stir slowly; for thinner ribbons stir vigorously. Add Sherry, stir and serve with optional garnishes. This is a versatile recipe, for a non-vegetarian you may add chicken or pork. You may add tofu and it will still be vegetarian. 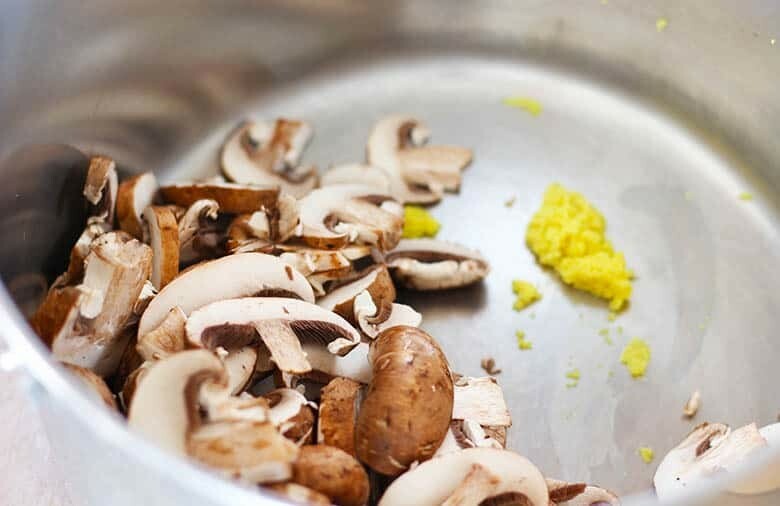 If you don’t like mushrooms, just substitute with one of the above or chopped cabbage like bok choy. This is a moderately spicy soup, for less spice, use less Sambal Olek. Likewise, for more heat add more. This looks so yummy! I love a good hot and sour soup and don’t make it nearly enough. 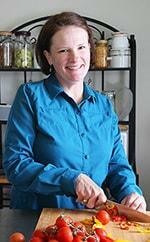 I’d love to try your recipe! I loved the story. Its an amazing gift to be able to cook something, that bring memories. We are getting older, but the taste of our favorite food takes us back to childhood. Thanks Tatiana. I love to hear peoples childhood memories of food. I love hot and sour soup, and often order it at restaurants, but I never knew how easy it was to make at home. 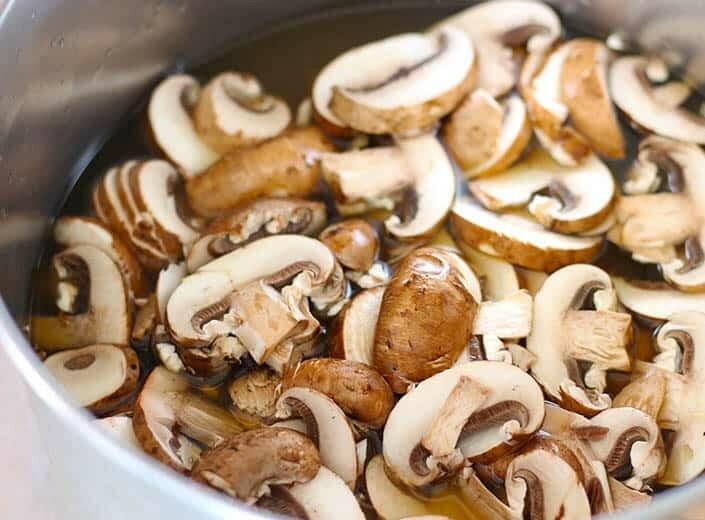 I love mushrooms, and would probably add bok choy as well. Thank you for all of the other options! 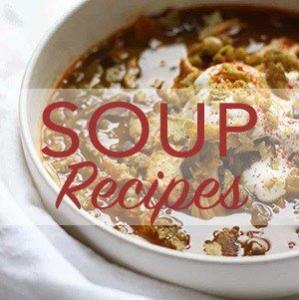 I’ve never made my own hot and sour soup before, but it doesn’t seem that hard – adding this to my list! Thank you Monica, I love to hear other peoples childhood food memories. I’ve heard some sweet and funny stories.